Today is the anniversary of my father’s death. Six years ago. How long will I hold onto this day as a day of remembering him? Many ask. When should I switch to his birthday? Never. I will forever have both. I do for my mother who died ten days after my father, and three days after her birthday. I do for my brother who has been dead for what seems like a lifetime, over 20 years. It’s not like I need a calendar to remember. The seasons tell me. Spring is here. Cherry blossoms are celebrated. My parents are dead. My body knows. I believe this. I feel sluggish with an undercurrent of sad. Sure, I am not getting enough sleep. Sure, I likely have slight allergies appearing. But it feels more. Every year at this time, I feel tender. It’s the word I have chosen that makes the most sense to me. It has multiple definitions, but here are mine: not hardy, not prepared or able to endure difficulties or hardship; having a (temporary) sensitive constitution; especially sensitive to touch, insult, injury; needing careful and sensitive handling. I would add that I am feeling private, in spite of the blogging. I don’t really want attention around this at all, because….well, because I am tender. I don’t want to respond to people responding to this, which almost keeps me from telling anyone about it. But I am writing because writing helps me stay in it, this life and all of its messiness. I am sharing because it feels important, even though I don’t want to. I am sharing, because this is mostly who I am, a sharer, often an oversharer. I am also sharing because I know I am not alone. I will never presume to know what others are feeling about loss and grief, but I can say what I am feeling and hope that in doing so, I give someone else company with their feelings. The year after my parents died, during what was a much more tender period, and when I had a blog I did more regularly (Finding Pause), I wrote a piece about this day, this month. I pulled it out last night to see how it compared to now, and am sharing it again here, in part because it is more articulate than I am at the moment. Today, I would say, I feel the same way, just less. Not so much. The intensity of those feelings, their palpability (although I would prefer to say palpableness, even though that isn’t a word), the catch of them, and the loss is just simply less. And if I think, write, and let myself feel, they are all still right here…. A year ago my father died. It was dusk on Good Friday. A full moon rose as they carried his body to the white undertaker van. Ten days later, my mother died at dawn, as the birds started to sing, just three days after her birthday, and four days after my father’s funeral, which she was too sick to attend. Morphine took them before their deaths, and we sat near them. Enrapt observers. Making strange decisions about care and dosages, as they slipped away. I watched both of them take their last breaths. It was intimate. And scary. And beautiful. Today, as I sit here sandwiched between these first morbid anniversaries, I am tender. I feel hazy, disoriented, heavy, and unmotivated. Unproductive. Unable to make a plan. When I let myself, I feel weepy. Secretly weepy. I feel sad, and slightly hollow. Aching. Amiss. I haven’t been sharing these feelings much. I haven’t really talked about it outside of my immediate family. I have had opportunities. But I don’t want to talk about any of it. I am avoiding it, yes, I know. I just don’t want to receive sympathy, and have to respond again to sympathy. Not because I am ungrateful. Friends have been beautiful and gracious and kind. I just don’t want to get into it again, in that way, to go back through all of the stories, the trauma, and the lives that preceded these deaths. Some of this is fear. I don’t want to fall back down into that gully of grief. I am partly afraid it will swallow me, not forever, but for a time. There is so much to remember. So much loss. And recovery, of memories, of what? What remains? What is lost? What could have been? What was? What wasn’t? What is now? It feels overwhelming at moments. I want to be vague and allow myself this period of tenderness. To cry with myself, and wallow in this quiet little vacant sulk alone. I am enjoying the secretness of it. The truth is, I don’t want sympathy. I want the comfort of my parents. I want to feel their parental love and care, at its highest. I want to feel them. I want to feel my father holding my hand, to feel my hand in his beautiful hand, and that little squeeze he would give that said so many things. I want to hear my father’s voice say my name. Or hear him say anything. I want to feel my mother’s little pat pat. The slightly awkward pat pat, not quite a hug. On back or sweetly on my head, and hear her say: Oh, Daisy, there there, now, there there. Hush hush, now, hush hush. I want to feel the comfort I think only they can offer, the comfort they taught, even with its painful limitations. I want them to comfort me through this tender time, through their deaths, even a year later. I want them to comfort me, if only by listening to me. I want to tell them, not anyone else, everything I have been feeling and doing and wanting and needing. I want to tell them that I miss them, at this moment, and all of the other moments, when I am making chicken in a pot, or read something in the New Yorker. I want to tell them it is the anniversary of their deaths, and how hard and strange it feels to be in this world without them. I want to tell them I feel more grown up now, just as my mom said I would feel when she died. I want to tell them they were right about so many things. And also wrong. So wrong. I want to tell them how much I hated the way they left together, and, damnit, how unparental it felt, yet again. I want to tell them I survived their deaths, even though I wasn’t sure I would. I want to tell them they didn’t prepare me for this. I want to tell them their comfort, and the way they loved me, was never really enough. I want to tell them I wish there was so much more. And yet, on some days, when I feel less tender, I understand why there was not. I want to tell them all about me, their daughter, a grown up orphan for a year. And I want them to see me as they never really could. What a litany falls from my fingers, my body. It is too much. I know. But I could keep going, even though it feels self-indulgent, slightly selfish, spun from neediness, nearing the demands of a brat. I still want so much from my now dead parents. Clarity appears at the end of a list. This tenderness I feel now precedes their deaths. Much of it has always been here. Unseen. Unspoken. Uncomforted. Grief and remembrance are its amplifiers. Avoidance is merely a temporary mute. A button I have been pushing repeatedly for years. I see forgiveness written on the volume knob but don’t want to touch it. I want to retreat to my quiet sulk alone. I want to run to my room and slam the door on all of it. I want to little girl sob into my pillow, recklessly, and then wonder if anyone will come in after me. As I always did. The forsythia are dancing their wild spring swagger (except those hacked into obedient clumps), the daffodils are partying on lawns throughout town, the peonies are poking up their red heads to see what all of the ruckus is about, and the landscape around me is full with life, with celebration and revelry. I am quieter. I am alone. I feel slightly awkward, clumsy, trundling along to the irregular beat of grief and understanding. I rest. I pause in the corner, adjusting. I remember them. I remember me. I am learning how to carry the weight of ancient tenderness, how to coexist with this tenderness within me, how to exist in the vivid scene that is life, that is spring. I am remembering my last one, the trollop of it, the floundering in end of life and death decisions, not once but twice, the slam of both parents lost. In a row. Bam bam. I am tender. To the touch. To the bone. There there, now, there there. Hush hush, everyone, hush hush. I am tender. To the touch. To the bone. April is the cruelest month. WTF — Why has Yoga Nag stopped nagging? I am too busy. This is true, but aren’t we all? This is never a good reason to stop doing anything that feels important. I have another job writing for a restaurant company, which I love. I am still doing and teaching yoga, but I have had to adjust how I spend my time, and how I use my writing and creative brain, and honestly, nagging takes more than it seems. I lost my Instagram @YogaNag handle (another long story for another time), and it was at first distressing, and then seemed like an important and needed shift. You can still find me on Insta, but now just as myself, @DaisyWhittemore. I NO LONGER BELIEVE YOGA EVERY DAMN DAY IS A GOOD CHOICE FOR MANY PEOPLE, at least how I once practiced it, taught it, and nagged about it. And, given this, I haven’t figured out what to do now on these pages and elsewhere. Right? Seriously, what does a Yoga Nag do if she isn’t nagging everyone to do yoga? How do I integrate my new thinking into this existing framework? 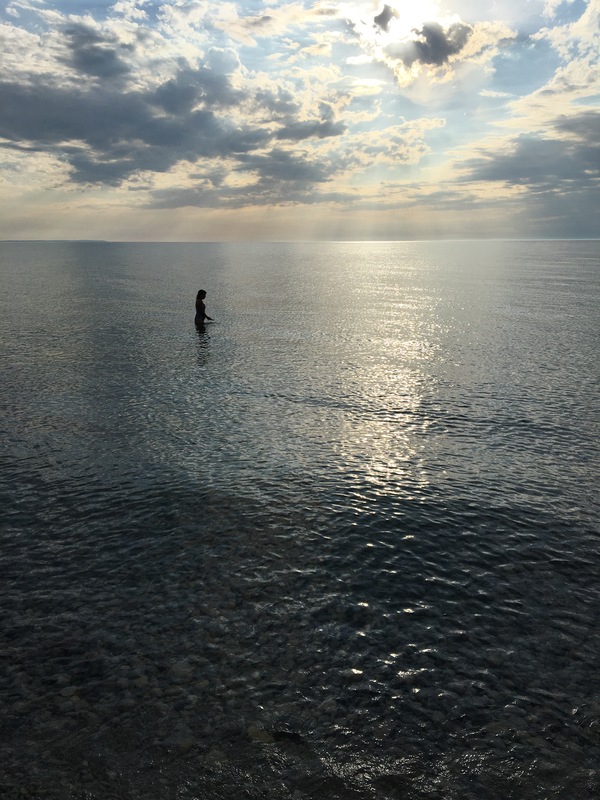 How do I share what I know to be useful and wonderful, and even wise, movement practices that I am learning and adopting, within the container of yoga and the persona of Yoga Nag? This is B-I-G, folks. I have always talked about and believed in the full eight limbs of yoga, encouraging everyone to look to the full breadth of yoga when creating a daily practice. To consider more than just asana (poses), to consider breath work, meditation, chanting, etc. BUT if I am honest, mostly what I nagged were poses, and mostly what I practiced was asana. And a lot of it was pretty advanced yoga. And then I injured myself….fairly suddenly, a crabby, achey hip, sacrum, and low back appeared that just wouldn’t get better and seemed to get worse, especially when I went to a yoga class, but also when I practiced yoga on my own. This was two plus years ago. I started to suspect particular poses were causing trouble, and some underlying weakness from life, babies, and imbalanced activity. I went to docs and PTs, got no definititve answers, but it became very clear that particular parts of yoga were not helping me get better, and in fact, made it worse. 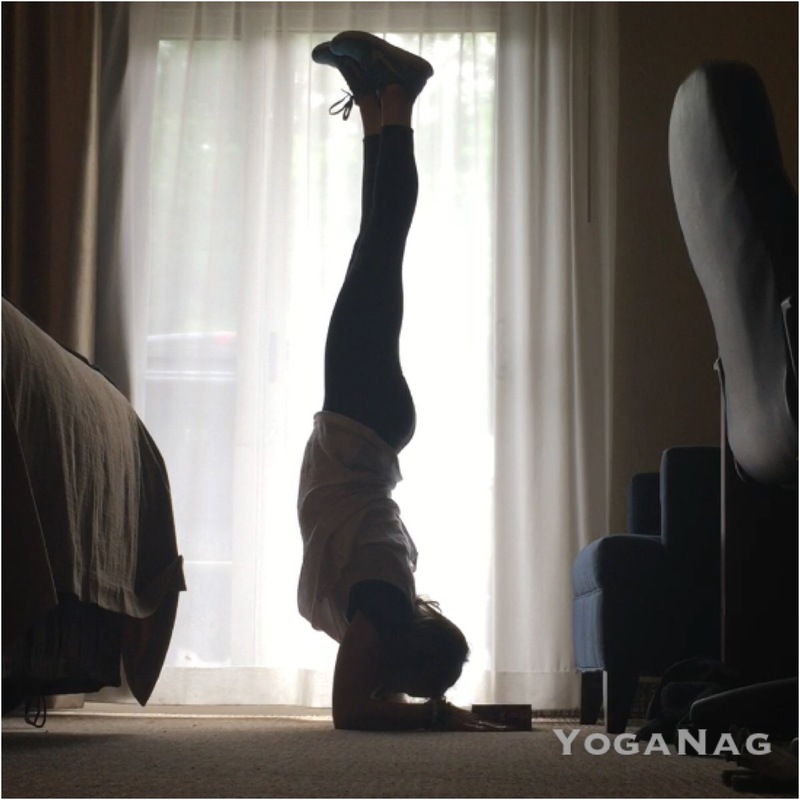 What is a Yoga Nag to do when she has an apparent injury FROM yoga? Carry on, continue to teach, but with wisdom and she is to STOP demo-ing a lot of poses. Basically, slow the F down in my own practice. Modify. Investigate and learn. I did all of these things. I healed up. I felt better. I learned a ton. And I started to approach my practice and movement in general with more care and consideration. This of course started to affect my teaching…. and, my nagging…. Here’s the other thing I need to admit: I have always been a bit of an anatomy avoider, certainly in yoga teacher training and even afterwards. I have a tired old brain that doesn’t want to remember the names of things or where they attach. At the same time, I have always been fascinated with how bodies work and heal. And love more than any other part of teaching, the most important part for me — in public classes and with private clients — helping people feel better in their bodies, stronger, smoother, more capable, at ease, happier. I worked hard at this with the tools I had. But really understanding bodies includes functional anatomy. It is really important to making bodies work well and feel good. After lots of searching and filling in gaps by dabbling in this and that, reading this and that, I signed up for an advanced yoga training where I knew I would get what I wanted, and where I would be forced to learn my anatomy, the functional parts of how we move and breathe that really matter to me: ThreesPhysiosMethod. These smart women, who are all PTs (aka, physiotherapists) and yoga teachers, are in it to transform both worlds (or that’s what I see), making yoga teachers smarter about bodies and functional movement, and arming PTs with some of the amazing tools of yoga, like breathing. After three long weekends in NYC, 100 hours of training, I am now an officially certified ThreesPhysiosMethod teacher. WOOOOOOOOOT. And eeeeeeeks. There aren’t that many of us, so I need to represent well (and it is A LOT of information loaded into my brain, how will I keep it all in there???). My love affair with yoga has been rekindled. AND it doesn’t feel like a smoke and mirrors show of me avoiding what I don’t know, using fancy arm balances and other yoga tricks and woo woo magic as cover up and diversion. (Although I still love an arm balance and good woo woo yoga.) It feels like exploration and wisdom joining hands. It feels smart. I am feeling smarter. More capable. More able to really help people. And I am growing my body knowledge…the real stuff…to inform the practice, with real movement science and information. I am psyched (and a little bit scared) to keep learning and sharing what I am learning. How this will unfold on these pages? I am not sure. I hope to use them more regularly again. At some point…. In the meantime, I am posting often on my new Instagram page, so come on over there if you want to see some of the ways I am working functional movement into yoga. It’s good stuff. It’s strong stuff. It might be practice changing stuff. 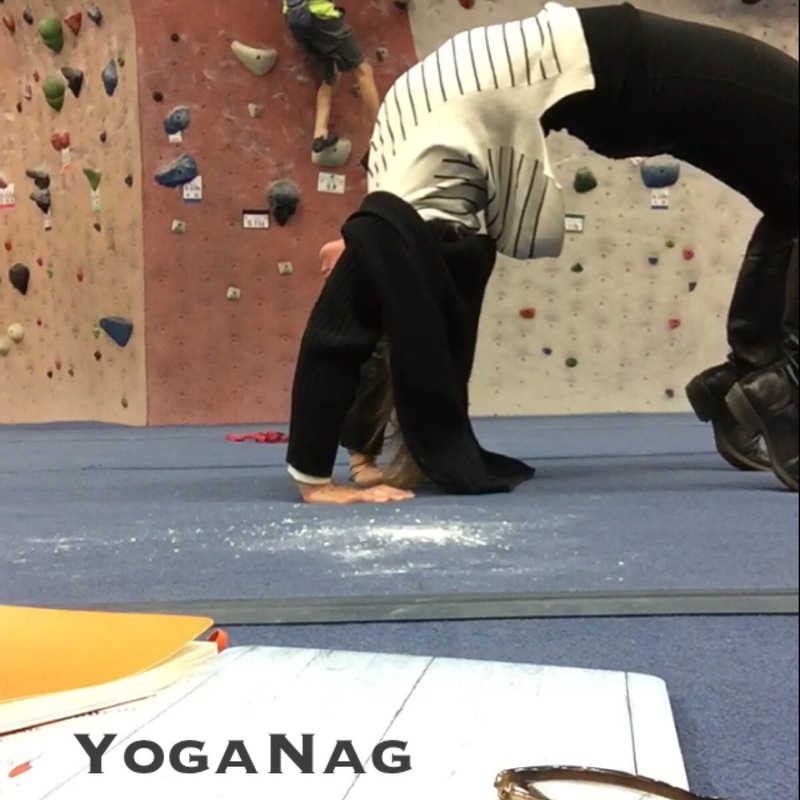 There is a short example video below (or linked to this email) of using some of the familiar yoga shapes in slightly different ways, inspired by the amazing Jenni Rawlings. If you made it this far through, thanks for your time. Really. And send me an email (or comment below) and tell me where you are in your practice. In your body. Or what you are worrying about, frustrated by, wish was different. Or what you think is super cool about bodies and movement that is making your practice and/or your life better. Or a book or teacher you think is changing the movement world. I am all ears, and would love to chat.